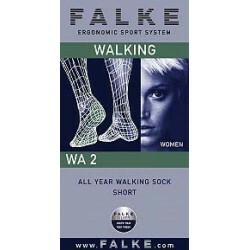 Falke offers the sport socks WA2 of the Walking-series, a middle-thick sport sock in modern design. 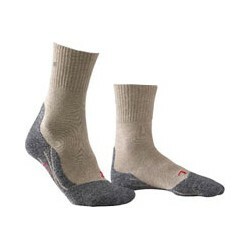 Highly functional and comfortable Walking sport socks are an essential component for each athlete. 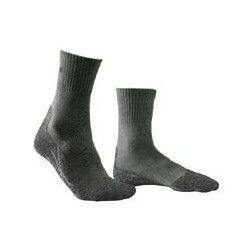 Some part os the material are manufactured with silver, having an antibacterial effect. This effect and the light material of the sole, allowing air circulation, provide a pleasant running feeling even regarding high capacities. 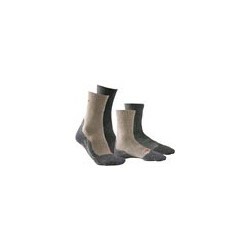 Falke products are well-known for their quality and desgin. It is very important for Falke to make fun and to provide positive experiences.